Crowning jewel of Lorraine since its creation more than 250 years ago, Maison Baccarat is a symbol of excellence and art of living all over the world. The artisans’ unique craftsmanship in this legendary manufacturing is the result of a long and delicate apprenticeship. A craftsmanship at the forefront of progress, passed down through the centuries by elite artisans and the reflection of an incomparable heritage. Baccarat counts among its teams a Chevalier des Lettres (Knight of Arts and Letters) and 15 Meilleurs Ouvriers de France (Best Workers of France), the greatest number of any French luxury brand. 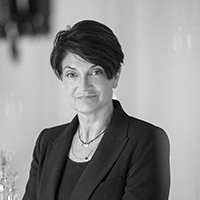 With “Crystalfoot”, Daniela Riccardi, Chief Executive Officer of Baccarat, and the brand’s craftsmen used their talent to further ELA’s cause. Requiring teamwork and precision, the manufacturing of this exceptional piece represents a major challenge: mould Zinedine Zidane’s foot and carve it from crystal, a fascinating material that captures and reflects the light to make ELA shine throughout the world. “When ELA asked us to participate in this project, Baccarat did not hesitate for one moment. Two legendary names, Zidane and Baccarat, join forces for the noblest cause: helping children with leukodystrophy. The achievement of this magnificent “Crystalfoot” has created tremendous enthusiasm among the people of Baccarat. From our Chevalier des Arts et des lettres, Nathalie Blaise, who physically took the imprint of Zinédine Zidane’s magical foot, to our Meilleur Ouvrier de France, Raymond Regnault, who hand-carved the first piece, everyone at Baccarat has participated in this project with passion. We will continue to stand alongside Zinedine Zidane and our friends at ELA to support their work and help them raise as many funds as possible. A hundred pieces will be made to order for all those who love Zinedine Zidane and wish to take action for ELA. Some exceptional limited-edition pieces will go to an auction organised for the exclusive benefit of ELA.